1861 Indian Head cents, like earlier issues of the Indian Head penny series, were made in a copper-nickel based composition. This metallic alloy makes these early 1860s pennies look much more white in color than later pennies, which feature a bronze compositional base. 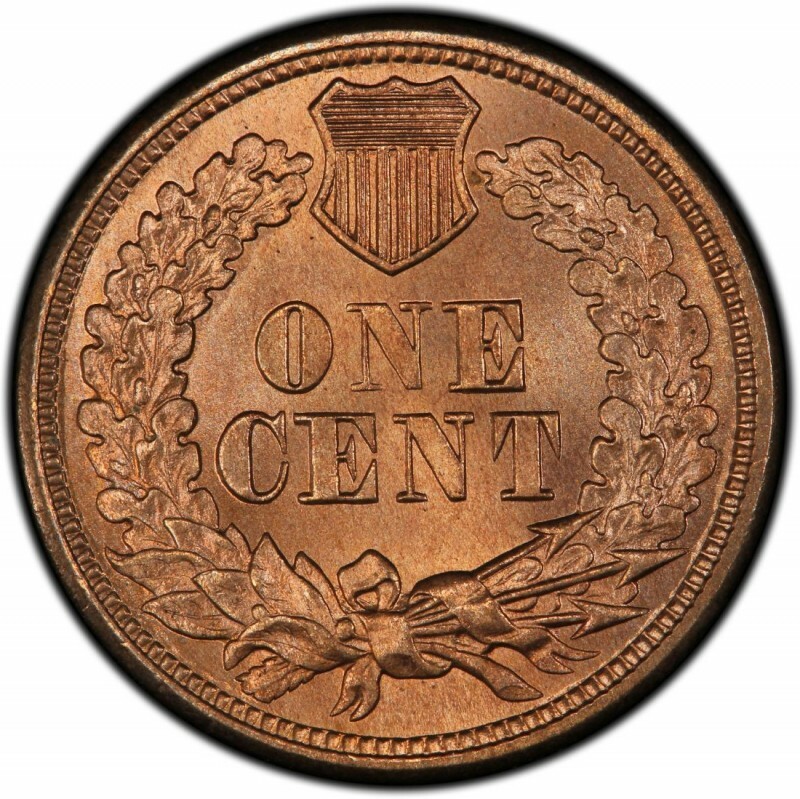 Indian Head pennies were designed by James B. Longacre, who is famous for crafting the artwork on many 19th-century coins, perhaps most notably the two-cent piece, which in 1864 became the first coin to bear the motto IN GOD WE TRUST. Many think the Indian on the penny was modeled after a real Native American. In fact, the head was modeled by none other than Longacre’s own, red-headed daughter, Sarah. She was 12 years old at the time a visiting native chief playfully donned Longacre’s daughter with a traditional headdress. The designer was amused by the site and quickly drew up a quick sketch, which many believe became the basis for the Indian Head design (actually Miss Liberty) that would grace the penny from 1859 through 1909. 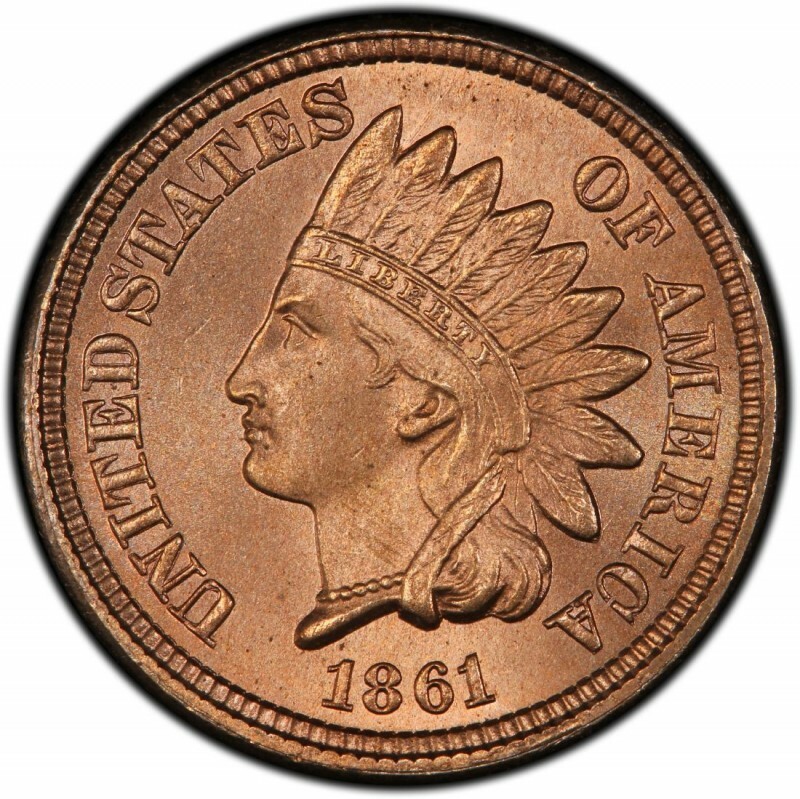 10,100,000 business-strike Indian Head pennies were made in 1861, with another 1,000 proofs. In a grade of Good-4, 1861 Indian Head pennies sell for around $23, whereas the proof version from that year is usually offered for $7,250.